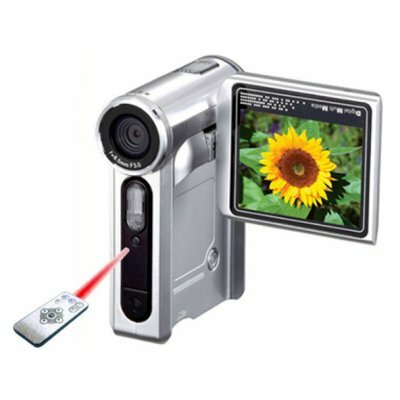 Successfully Added Digital Camcorder, 10M Pixel, 2.0inch TFT, 8xDigital Zoom to your Shopping Cart. This is good choice in many kinds of Digital Camcorder product with 3.1 Mega pixel CMOS Imaging sensor and high quality 270 degree rotating 2.4 inch Color TFT LCD screen. It is compatible with max.2GB SD card and built-in 32MB flash. Features high quality fixed lens and needed 2 x AA alkaine battery to give power supply. USB2.0 PC interface to connect with computer and includes Mechanical with 2 sec. ~ 1/1000 sec. speed shutter..